Laptops for work, business is now much in demand, because most of the time we spend at the screen, solving daily tasks directly related to the family of our activities. Often, it does not require expensive, too powerful or the original design of the device. Enough so that they are excellent, were rich, robust and ergonomic. Lenovo B50-45 – one of these laptops. He does not need to be exceptionally bright and shocking, to be noticed, much more the owner will receive from a modern filling and, for example, the appearance of the business that does not distract from the work. And the cost will be about $ 500 more than is available to most users. The laptop case is unremarkable, and as it may seem to some, boring black coloring. All Lenovo B50 panel looks a bit harsh, almost rounded corners, and in general there is no decorative elements, which would be emphasized. Is that the brand logo Lenovo, on the cover in splendid isolation, slightly dilutes the austere design of the laptop. By the way, the laptop is made of matte plastic, which are sometimes fingerprints, which are quite simply removed from the surface. Much longer you’ll have to clean up the bottom, as its surface is easily soiled. By the way, the bottom panel of the notebook looks more standard: the battery compartment, sliders to eject the removable lid, under which is a hard drive and memory modules. Of course, at the bottom there are a few feet and ventilation grilles. The reverse side of the notebook is more rigid than, for example, cover and keypad. Laptop impresses enough solid device, it will look good on your office desk, on a business trip or home setting. In particular, the size and weight 380h260h27 mm Lenovo B50-45 2.3 kg did not become an obstacle to often accompany the owner on various trips. 15.6-inch laptop has a low resolution of 1366×768 pixels. The screen surface is matte, almost no glare. Is that the viewing angles are very narrow, so you have to somehow adapt to better see the image. Unfortunately, the display with the index up to 190 cd / m 2 can not be considered sufficiently bright. 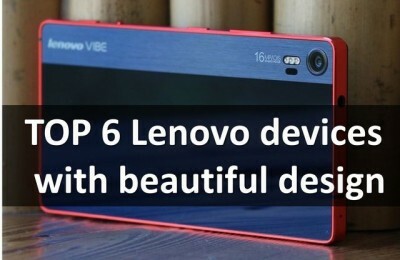 This will be especially noticeable when you have to use Lenovo B50-45 outdoors in sunny weather. But the contrast of 520: 1 is more than enough for a budget notebook. Sound is output from the laptop in two stereo speakers, there is support for technology Dolby Advanced Audio. Sounds device moderately loud, but it lacks the low frequencies that overlap considerably high. Of course, you can listen to music or watch a movie with such acoustics, although it is best to do this by connecting the headphones. But for video, you can use the built-in webcam 720p. HD-resolution enough to chat in Skype, while the pictures of good quality should not rely. Keyboard Accu Type, which has become the hallmark of laptops Lenovo, installed in Lenovo B50-45. It is an island, rather large, with a standard layout is complemented by a separate number pad. No innovation, as well as significant gaps here. In particular, all the keys of the optimum size, rounded bottom and slightly concave. As they are clearly labeled, pressed without effort and in the relatively quiet. At the same symbols on the function keys are different from Latin color. The only thing that returns when you press might be a bit clearer, and the course longer. As for the touchpad, it is just under the space and is slightly offset to the left from the center of the site for the wrists. It is made by modern standards, is too simple. Usual small touch area, under which there is a pair of physical buttons. Touchpad sensitivity is normal, you can work without delay. But to work with the buttons have to get used to, because functionality of the left was not always correct. On site is also located podladonnoy fingerprint sensor. He will not allow outsiders to penetrate the system to the user, if the owner in advance zaparoleny using this sensor input. Lenovo B50-45 (59426172) works with the operating system Windows 8.1 64-bit version. This stuffing can be seen SoC from AMD, in which, inter alia, includes a novelty – a quad-core AMD A6-6310, codenamed Beema. It has a clock speed of 2 GHz, which is in Turbo mode can go up to 2.4 GHz, and the cache memory of the second level in the amount of 2 MB. This CPU can process up to four streams of information, but its performance is not much better than the low-voltage Intel Pentium chip generation Haswell. Incidentally, the power consumption AMD A6-6310 small, it is not more than 15 watts. Used for processing integrated graphics AMD Radeon R4 (Beema), compatible with DirectX 11.2, and 64-bit AMD Radeon R5 M230 with its own memory to 2 GB standard DDR3. Discrete graphics card supports DirectX 11 and Eyefinity technology through is used to display on multiple external displays. For simple tasks it is enough to use the integrated graphics, but the game is better for Radeon R5. For example, to properly went toys 2013 and the more recent 2014, have set the low setting. Thus, in Tomb Raider, or Total War: Rome II can be played with a display resolution of 1024×768 pixels and up to 30 fps. If we compare the performance of digital video with other accelerators, it will be a little weaker than the NVIDIA GeForce 820M. Under the RAM in the Lenovo B50-45 allocated two slots. However, one is empty, while the second is worth 4 GB standard DDR3L, and that is the base volume of the equipment. Now for the majority of programs that would be enough, but then you can expand memory up to 16 GB. There will also be enough to 500GB hard drive, which has a rotational speed of 5400 revolutions per minute. In addition to documents on it together even multimedia files. Interfaces are exclusively engaged in the lateral edge of the notebook; on the front end of a card reader, a readable format SDXC, SDHC, SD, MMC, and the rear panel is completely free. The right side of Lenovo B50 less loaded. It can be seen port USB 2.0, combined audio jack for microphone and headphone jack, and Kensington lock slot. In addition, there is an optical DVD-RW drive that supports Double Layer. Placed on the opposite side are two USB, but has a more modern standard 3.0. Besides these, the left are VGA, HDMI, power connector, and an RJ-45 socket for recharging. Enough space for ventilation openings through which warm air comes out. As for the wireless communications, there is provided Wi-Fi 802.11b / g / n and Bluetooth 4.0. The notebook is equipped with a 4-cell lithium-ion battery. It has a small capacity of 2200 mAh (32 Wh), which affects the length of the device. For example, when surfing the web autonomy is only three and a half hours. In this case, the display brightness will have to reduce by a quarter. Upon consideration of the laptop Lenovo B50-45, you realize that it does not pretend to much. However, the good points about the laptop still there. This comfortable keyboard, a display with a matte surface and a sufficient level of contrast, nice design business. Of course, if you are not too demanding, it is likely that you want the notebook, which is a little flex, and a small autonomy. But for the work tasks you have enough prescribed set of ports and a decent performance. As a result, Lenovo B50-45 is the most common middling, which is now quite a lot. Given that for the daily simple tasks is nothing supernatural and do not need to, buy this laptop would be justified. Previous PostWhat smartphones can provide high-quality audio online recorder? Next PostReview of the smartphone Huawei Ascend Y530: "budget price!"